When Was The Last Time You Had Your Garage Door Serviced? When was the last time that you had a professional garage door expert come along and service the door? If the answer is many years ago then the time might now be right to book an appointment and get your garage door a little TLC as a belated Christmas present. Garage doors can be quite complicated systems, even if they do not have all the bells and whistles that an automatic garage door may well have, as something that you use every day, sometimes many times a day will suffer from wear and tear as time goes on. You wouldn’t not get your car serviced (well, we hope you wouldn’t) and you use this every single day, and you probably wouldn’t leave your boiler to chance, and whilst a garage door might not seem as important, servicing is still a necessity in most cases. 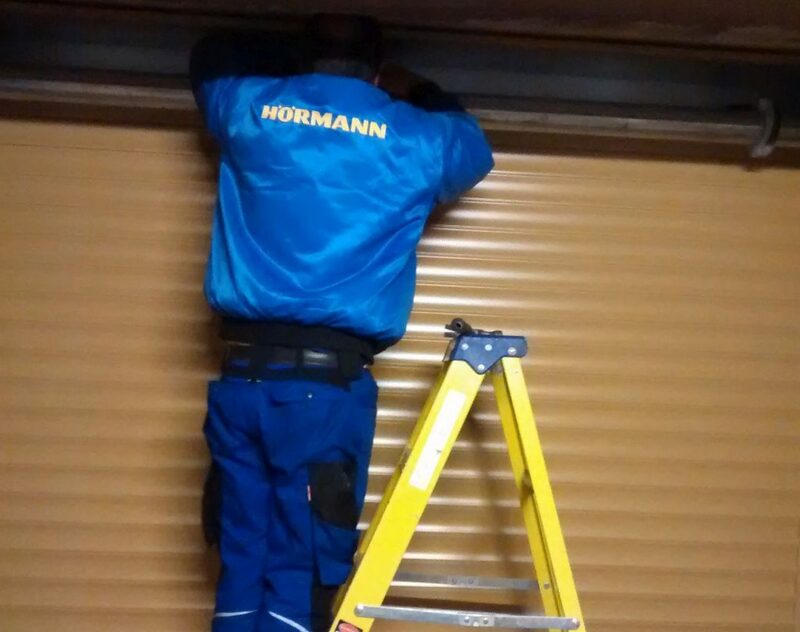 Whilst it is fair to say that automatic garage doors are often the types that need to be cared for the most, any garage door should have some kind of service at some point, and whist we are not saying you always need the expertise of a professional, a quick check up and some maintenance can often keep your garage door working for much longer. So, why bother with a service? As with anything you have serviced, one of the main reasons you get that annual work completed is to keep it working longer, as the longer it lasts, the more cost effective it has been, and it means you don’t have to find the money to completely replace your garage door. Servicing is a cost-effective way of making something last longer, and not only does this mean it works better and is more secure as we come on to later, it also means you can get the best return on the investment you spent in the first place. We all know the leak that was annoying but didn’t get fixed. That leak become more of a leak than you thought it would and because you didn’t deal with it, it became a costly replacement bathroom and ceiling. The point here is that whilst the odd little issue can just be annoying, like a door that sticks or a handle that you must really jam to close, in the long run this is probably leading to long term damage that will cost a lot more to repair. Fixing small issues during an annual service can often prevent them becoming a major issue later down the line that could lead to you needing a whole new garage door. From the lock that doesn’t always lock through to the garage door that does not quite shut properly, if your garage door does not shut fully and lock correctly then you are reducing the security of your property, and any advantage you can give someone with a criminal mindset is an advantage they are going to really try and abuse. A garage door that is serviced will work correctly, as that is the whole point of a service, which means you can rely on and trust that your garage door is as secure and as safe as it can possibly be. The chances are that when you need a new garage door you have never had the old one serviced and looked at before, and following on from our first point, this means that the problems have got worse and worse until they are no longer repairable, and you are faced with a huge bill for the installation of a new garage door. Garage doors should last many years if you take care of them, and an annual or two-yearly service can really help to make sure you get the distance you deserve out of your garage door.